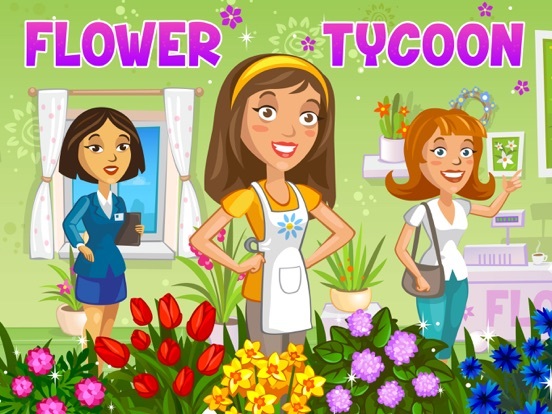 Flower Tycoon is a flower shop simulator where you can grow your own plants in the house, try your talent as a florist, seller, and designer. When the visitors come to your store sell them the bouquets and earn money. 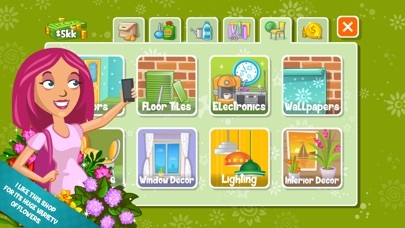 Put on the role of a decorator purchasing the new items. 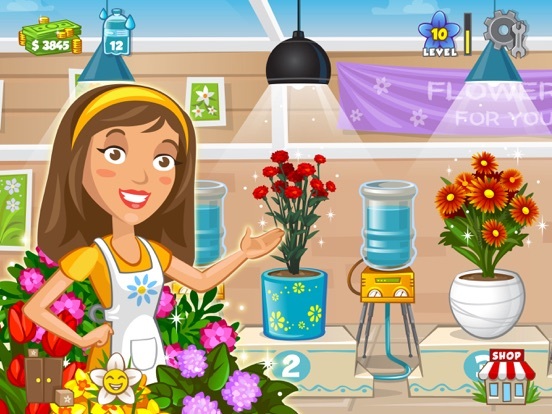 Create a cozy shop atmosphere and gain trust, love, and devotion of your customers making your shop bloom. 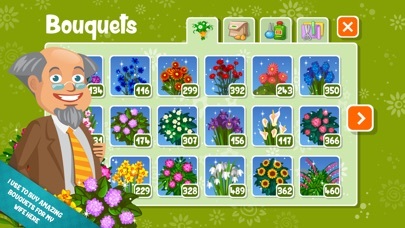 Romantic rose, cute chamomile, amazing elegant calla, or maybe bright and jolly sunflower? The variety of flowers you can grow in this game is really stunning. 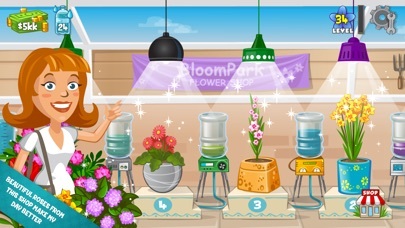 First you have to select the plant seeds, pot and the water supply for your future crop and care about it until it blooms. Be attentive, don’t forget to water the young plants, don’t let them dry up and perish. When they finally bloom at the house you can open your own store. Hurry up to the door when the customers come to your shop knocking. 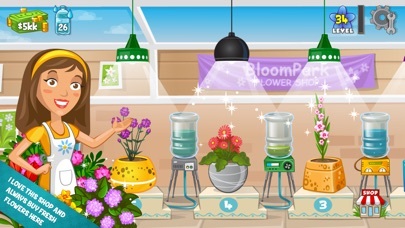 When the visitors will make a choice, the grown blooms will appear nearby, help them to choose and buy what they need for the occasion they say. Look at the green blossoms you have, combine the flowers, assemble the masterpieces wrapping the plants in bouquets. 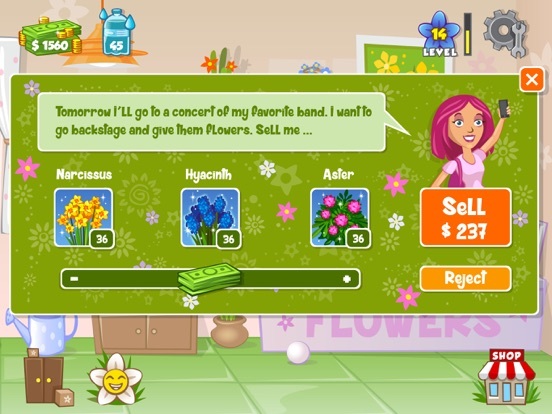 Accept or reject suggested prices and sell what you grew, gain more money and reputation as a florist and designer among to wedding salons, kindergartens or even agencies. Upgrade your growing house when you have enough money for this: Now you can afford buying more inventory: pots, furniture, and accessories. 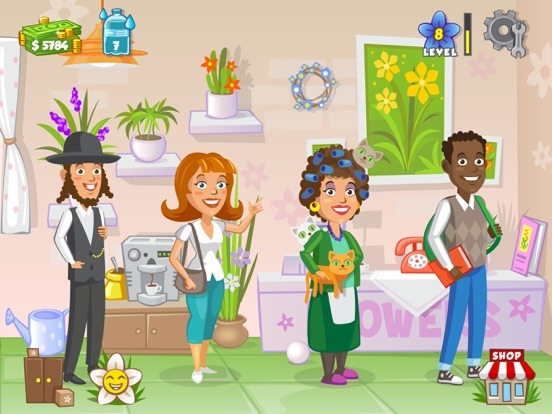 Work like a decorator of your store and attract more visitors. Close deals with customers giving them greater discounts, enrich the interior, and turn your store into popular and reputable place. 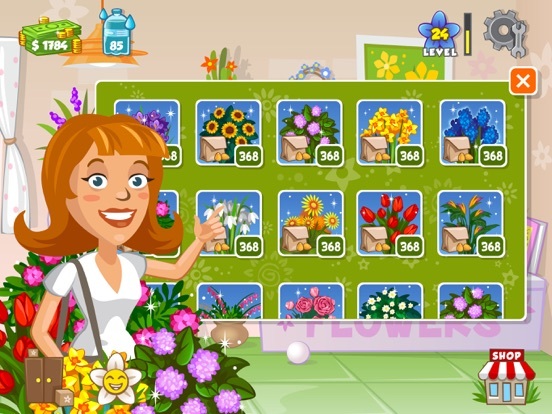 Upgrade the inventory, buy furniture, and become a designer and decorator of your own flower shop.